Cooper, Jonathon A. (2015). 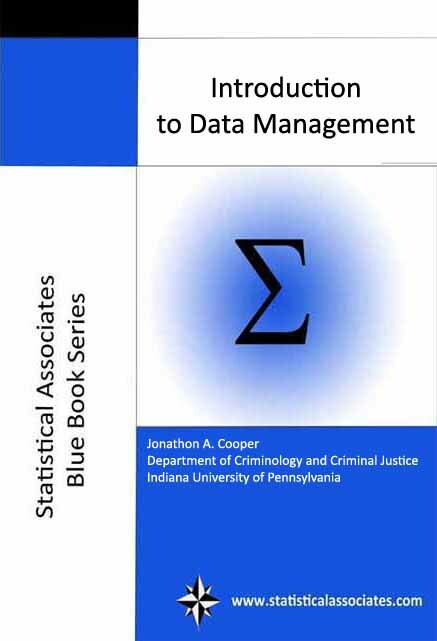 Introduction to Data Management. Asheboro, NC: Statistical Associates Publishers. About the author: Jonathon A. Cooper is assistant professor of criminology and criminal justice at Indiana University of Pennsylvania, where he also directs the Criminology Advising Center.